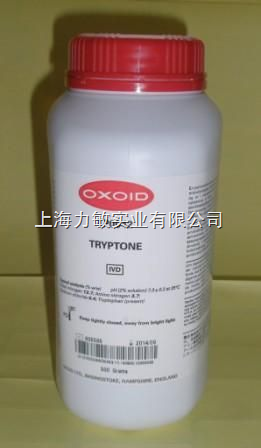 Tryptone is a pancreatic digest of casein. It can be used in any formulation where a pancreatic or tryptic digest of casein is specified. Casein is the main protein of milk and is a rich source of amino acid nitrogen. The profile shows a broad spread of peaks throughout the molecular weight range characteristic of a pancreatic digest. This hydrolysate is often mentioned in published works, either as a constituent of culture for metabolic or growth studies, or for other purposes where high performance and uniformity of composition are of paramount importance. It has a high tryptophan content and is therefore used in for testing the indole reaction. Tryptone can detect `flat-sour’ or `sulphide’ spoilage organisms in the canning industry and is also used in sterility testing . It is a constituent of used in fermentation processes to produce antibiotics, extra-cellular protein, interferon and diphtheria toxoid.